In late February, two former British foreign secretaries were caught in a sting operation by undercover reporters from The Telegraph and Channel 4 for their involvement in a "cash for access" scandal. It was within expectation that the two denied such allegations and said they were "mortified" to "fall into the trap." This reminds me of my research into British investigative journalism when I studied in the UK a few years ago. In 2010, undercover journalists from The Sunday Times revealed that two officials from FIFA solicited a bribe in exchange for supporting particular countries' bids to host the 2018 and 2022 World Cup tournaments. The report dealt another blow to the scandal-hit FIFA, often accused of institutional malfeasance. However, both ethical and legal concerns were raised by this investigation due to the "sting" the journalists used in their reporting, which left room for FIFA officials to defend themselves, exactly as happened in the latest reporting. Indeed, before the court makes the final judgment, every suspect can speak for himself. What journalists can do is to bring their "alleged" wrongdoings into the spotlight and make them known to the public. Therefore, journalists need to be aware of the methods they use to uncover the truth and the way they present facts. There is criticism about the use of sting operations. Some critics contend that it is unjustified to believe that the way a person behaves in the sting is how he behaves in other similar real-life situations. They also argue that sting operations are intended to free a journalist from needing to find actual evidence of corrupt behavior. Whether the form of deception a journalist uses is a sting or something else, the real question persists: Can the crime or injustice be exposed by the normal means of question and answer and scrutiny of documents? For many investigative journalists, the answer to the question is a clear "No." They would defend their resort to a sting operation by arguing that there are indeed some situations where deception could be justified - those when the public interest needs to be protected. Britain has a long but sketchy history of investigative journalism. Since the 1970s, the fierce competition in the media and the political atmosphere characterized by skepticism and irreverence encouraged the growth of investigative journalism. The media have been seeking out exposés, either investigating poverty and exploitation or political and administrative corruption in the 1970s. The Sunday Times' Insight Team and the Granada Television program World in Action emerged as the leading groups that conducted investigative reporting, exposing massive cases such as the thalidomide scandal in which hundreds of pregnant mothers were given an anti-nausea drug that caused birth deformities. But there are also cases in which journalists came under scrutiny and paid the price. In 2012, the row over phone-hacking by journalists from the News of the World led to the tabloid's closure. 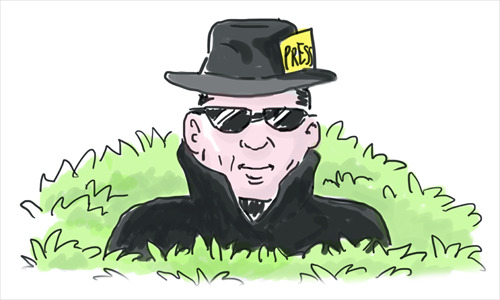 At that time, the journalists could hardly defend their intrusions into other people's privacy to interest the public. After all, unlike pharmaceutical scandals, FIFA corruption or the wrongdoing of MPs, there was no public interest defense, only a prurient interest in the lives of celebrities. But it seems that British journalists' enthusiasm for investigative journalism will never end, whether it comes from a tabloid like the News of the World or a broadsheet like The Sunday Times. Their investigations will continue, and so will the debate over the methods they use. One guideline for them may be to ask themselves, "Would I be ashamed to admit to my audience how I got this information?"